Hillary Hauser is a recognized photojournalist with a focus on the ocean – adventure, politics and conservation. Born in 1944 in Palo Alto, California, she studied at the University of Washington, graduating in 1966 with a Bachelor of Arts in English Literature. She moved to Los Angeles to join the staff of T.V. Guide as a National Programmer. She started scuba diving in 1966, got certified in 1968 (NAUI card #54990), and moved to Los Angeles to become Skin Diver Magazine’s assistant editor. Underwater cameras were beginning to capture detailed pictures of undersea creatures, including tropical fishes, and Hauser began the popular “Fish of the Month” feature, which became The Book of Marine Fishes. went on to become a major promotional jingle in the dive world, as well as a title to a magazine. Hauser has published six books about the sea, as well as numerous articles about underwater adventure for National Geographic, the Los Angeles Times Sunday Travel section, Esquire, Redbook, Geo, Readers Digest, The Surfer’s Journal, among others. 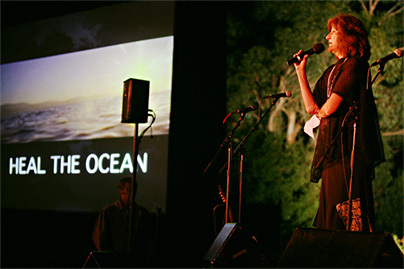 She was West Coast stringer for Ocean Science News (Washington, D.C.) and a reporter on ocean issues for the Santa Barbara News-Press from 1981 to 1986. 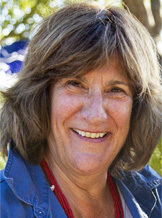 As a diving journalist, Hauser became known as the “Diver of the Strange and Bizarre,” for her exploration of the sinkholes of South Australia for National Geographic, diving into Devil’s Hole, a flooded earthquake fault in Death Valley, California, and her diving the notorious big wave reefs of the world: Waimea, Jaws, Pipeline and Mavericks. co-founded and is the Executive Director of Heal the Ocean, an internationally recognized citizens’ action group in Santa Barbara, California. Heal the Ocean www.healtheocean.org has accomplished trailblazing work, the kingpin being the removal of septic systems from seven miles of south Santa Barbara County coastline. For this, and other work, Hauser has been commended with recognition from the U.S. Congress, as well the Central Coast (California) Regional Water Quality Control Board (2006, 2008), the California State Assembly (2009), and in 2-13 more recently a Joint Assembly/Senate Resolution (No. 404) from the California Legislature (Jackson/Williams). In 2009 Hauser received the venerated NOGI Award from the Academy of Underwater Arts and Sciences for Distinguished Service. In 2013 the Academy elected Hauser as President of its Board of Directors. she created, with John Robinson, the record label Tavros Records, wherein she produced recordings of Rachmaninoff Trios and Chopin solo piano solo works that have won high ratings in the Penguin Guide to Recorded Classical Music. Hauser’s work has been frequently anthologized, including Textbook for Advance Level English (Newbury House), Invitations to Literacy (Houghton Mifflin), and Life Touched with Wonder (Reader’s Digest). Her poetry has been anthologized in An American Poetry Anthology.